Having a background in business and taxation, Cassie Barr is able to assist clients in enhancing their bottom line while reaching their strategic objectives. Cassie Barr counsels clients on corporate and tax law matters. 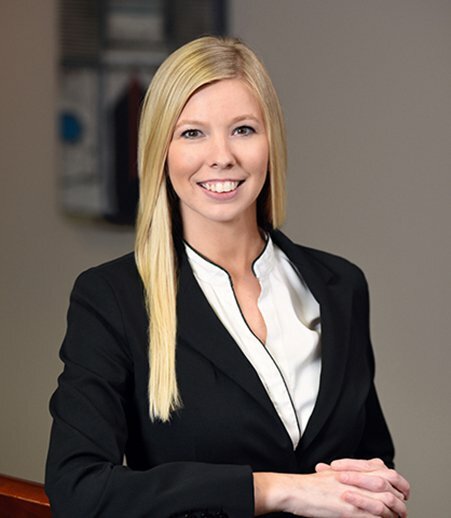 In the area of corporate law, Cassie has an emphasis in mergers and acquisitions and has experience in providing counsel to middle market companies in a broad range of industries, including health care, technology, construction, manufacturing and distribution. In the area of tax law, Cassie counsels clients on corporate and business tax planning. She also has experience in tax controversy matters and has represented clients before the Internal Revenue Service and state taxing authorities. Before joining the firm, Cassie worked as an international tax associate for a big four professional services firm. Her background includes degrees in business and accounting. Interview with Cassie Barr, "What the internet tax ruling means for business"
"What Wayfair Means For You: The Changing Sales Tax Landscape"